Razer’s Blade Stealth was originally placed as a tiny laptop that could dock with an eGPU for serious gaming, but it’s become a dark horse ultraportable in its own right. Now it’s a pink horse. 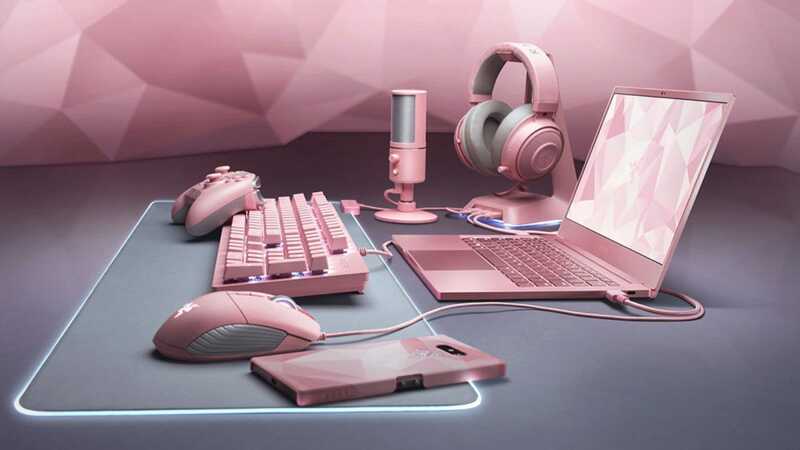 The gaming brand has been offering pink versions of many of its products for the last couple of years, slowly expanding the “quartz” color option throughout its lineup. Now that option extends to most of its accessories, and for the first time, a Blade laptop. Specifically the newest revision of the Blade 13 Stealth, packing 8th-gen Core i7 processors and an option for a light-duty GeForce MX150 GPU upgrade. The redesigned laptop has those oh-so-stylish ultrathin screen bezels and a more blocky aluminum look, very much in line with the more powerful Blade laptops. You can still connect it to the Razer Core X GPU enclosure for a desktop-class graphics boost, and it lasts for 13 hours on a charge. Screens start at 1080p, though a 4K touchscreen is available too. And don’t worry, you can also get it in black. The Quartz Pink edition is listed by Razer as “limited quantity”—though review units seem to have made the rounds, it’s actually not showing up on Razer’s online store at the time of writing. Other new members of the pink procession include the Basilisk mouse, Hunstman mechanical keyboard, Seiren X microphone, and Goliathus Extended Chroma RGB mousepad. Those who buy the pink Kraken headset can even add on some Quartz Pink cat ears to really nail the cutesy aesthetic. The new Blade Stealth 13 starts at $1400 with an i7 processor, 256GB of storage, 8GB of RAM, and an integrated GPU. The highest configuration, which adds a 4K touchscreen, a GeForce MX150 GPU, and doubles storage and RAM, is a surprisingly reasonable $1900.